Want to be able to be in touch with your kids at school, but not quite ready for them to have a smartphone? Well, we picked up a clever cheat from another parent at our school and it might be right for you too. Just pair a goTenna Mesh with a bluetooth device you have lying around and you can easily check your kid’s location or message with them anytime you get a pang of nerves. Small and lightweight, goTenna Mesh easily fits into your kid’s pocket or clips onto a backpack – and it works with old smartphones that have no service, no access to the Internet, and no distractions or unsafe content for your kid. 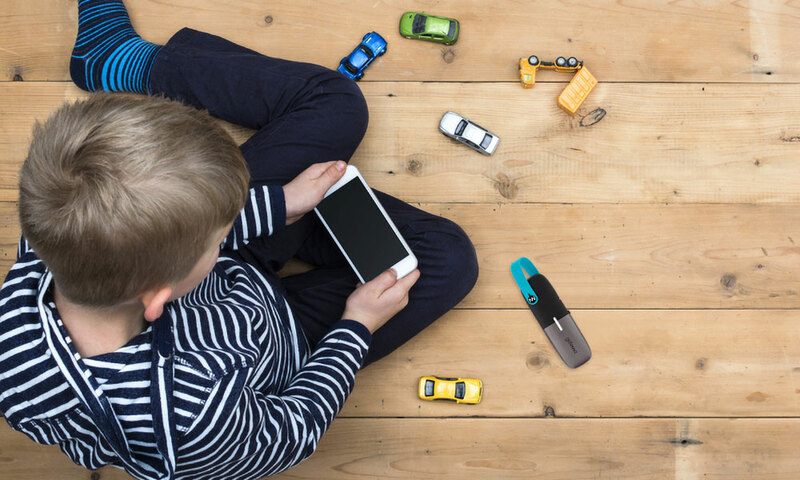 Like many parents, back-to-school season has us celebrating getting some of our time back and goTenna Mesh is keeping us from spending that time worrying about our kids’ safety. If you’re like us, each year brings more to worry about when it comes to our kids at school, from bullying to playground injuries – even just traffic accidents on the way to and from school. As parents we never stop worrying about our kids, but knowing that we can check in with them, or just make sure they’ve arrived to class safely, is a huge stress relief. Of course, some parents send their children to school with a smartphone, but many of us are rightly worried that exposing children to phones too early can have negative effects on their development. Many schools also have policies that limit the kinds of devices that students can bring with them. We want to have peace of mind about our children’s safety, but we don’t want them to break the rules either. On top of that, cell service can go down or be spotty on the route to school or even in the building, all of which can end up making parents more worried rather than less. Unlike cell phones, goTenna Mesh is not dependent on the cell network and runs continuously for up to 30 hours on a single charge. Available in packs of two and four, you can easily outfit your entire family – plus unlike a phone they require no annual contract or plan of any kind. Pairing a goTenna Mesh with any bluetooth device you have lying around is easy – last year’s phone in the junk drawer, an old iPod Touch, or even the Kindle Fire you got on Black Friday for $40 – and your kid probably already knows how to use it. One of the moms we know uses an old Android phone and has her son check in when he arrives at school, once at lunch, and again when leaving – all with the push of a button on the goTenna app. Most importantly, if there’s ever an emergency and the cell towers become overloaded near school, goTenna Mesh still works! Because goTenna is a mesh networking device, it means the uses and range multiply the more there are in the area. Some parents nearby have been using goTenna Mesh to provide coverage of entire neighborhoods and suburbs. You can check the map to see if there are others using goTenna Mesh in your neck of the woods. Even if you’re the first in town to use goTenna Mesh, though, they can work at ranges of up to 4-miles. goTenna Mesh is a practical back-to-school safety solution that gives you peace of mind – and it does it affordably, with no need for contracts, new phones, or Internet distractions.